Between the Buried and Me have been a pretty important facet of American progressive metal for over a decade. Over the past two decades, their catalog has continued to grow, showing that whether progressive metal is something easily enjoyed or not, its fanbase still calls for new material. This time around, Between the Buried and Me haven’t concocted some new technical methodology for their approach to music. Instead, they’ve released a live album (their third live album, to be exact) of their 2015 release, Coma Ecliptic. Fans of Between the Buried and Me, their live performances and the album itself are likely to be pleased as the new release does showcase their ability to not sound blown out or overdone on stage. 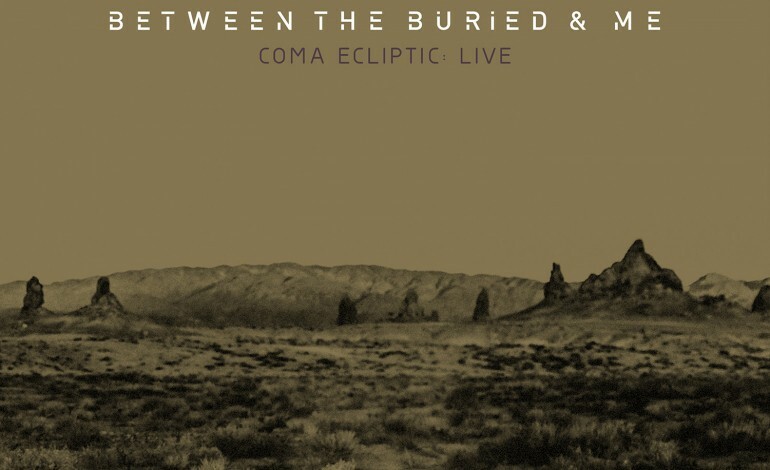 However, for those that find BtBaM a hard pill to swallow, Coma Ecliptic: Live is one they’ll likely choke on. A low and slow cheer rumbles across a crowd as “Node,” the album opener, begins. BtBaM followed the track listing of the original Coma Ecliptic to a tee, redoing the songs in order during a San Diego performance a little while ago. When one thinks of live performances, especially in the metal world, an ear-splitting air is to be expected. BtBaM’s recorded live set is mild in comparison. Vocalist and keyboardist Tommy Giles Rogers has a very distinct, nasal take on singing that is definitely showcased more on the live album. BtBaM’s usual, overbearing technicality and occasional toughness are still present — mainly carried out by drummer Blake Richardson on tracks like “Famine Wolf” or through Rogers’s growls on songs like “The Coma Machine.” Yet, the overall feel of the album ends up sounding more theatrical than brutal. A comparison that easily comes to mind would be the various numbers in the musical Hedwig and the Angry Inch. Surely, longstanding Between the Buried and Me listeners recognize all the band’s gruesomely progressive tendencies, but fresh fans may not understand. None of this is to say that Coma Ecliptic: Live is actually bad, it’s just not entirely exceptional. Anyone with significant experience listening to Between the Buried and Me likely won’t see any issue, but for those trying to figure out which BtBaM to start with, this live version shouldn’t be it.